PortAventura World launches new season and begins to prepare its novelties to once again surprise its customers for another year. The resort continues to grow and expand the offer for the whole family with a new theme hotel and a new attraction that "will be the first and only dark ride in Europe". 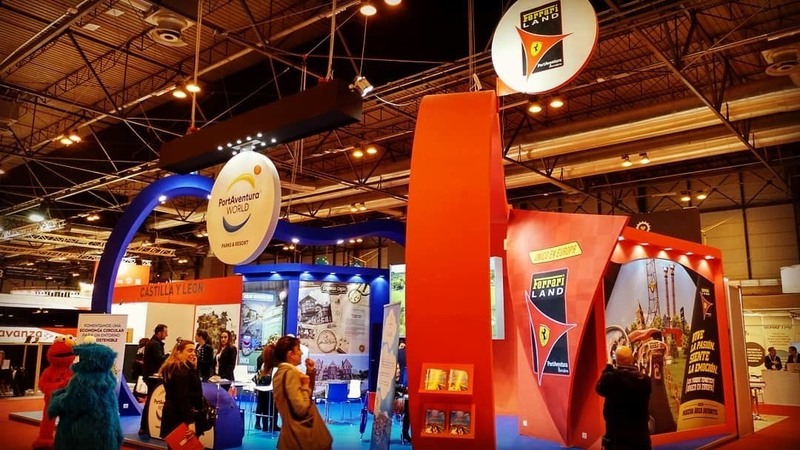 PortAventura World has chosen to present them at the last FITUR, International Tourism Fair, which was held in Madrid from January 23 to 27. PortAventura Park will open next April 6, together with Sally Corp. and Sesame Workshop a new dark ride in a new building of 1300m2 in the SésamoAventura area. It will have real elements, such as numerous animatronics and sets, and virtual scenes through interactive screens that we will travel with a vehicle. In that same vehicle, we will have to collect clues and point to targets to score points and finally solve a great mystery with the detective Coco, Big Bird, Count Draco, Oscar el Gruñon, as if it were a video game. Duration of the attraction in vehicle: 5 minutes and 50 seconds. 1 scene with a 180º immersive screen that will allow us to fly around Count Draco's castle. PortAventura will inaugurate what will be the sixth hotel of the resort, next June 1st, the day it will open its doors. It is the first 4 **** Deluxe hotel in the entire complex (intermediate quality between 5 stars and 4 stars). It will have 150 rooms, reinforcing the hotel offer and exceeding 2,200 rooms among all the hotels in the park. It will have a strong thematic charge inspired by the era of the gold rush of the Far West, will offer its guests a wide range of advantages such as unlimited access to PortAventura Park, 1 day access to the Ferrari Land park, premium express bracelet for PortAventura Park , exclusive breakfast buffet and gifts for children, among many other advantages. 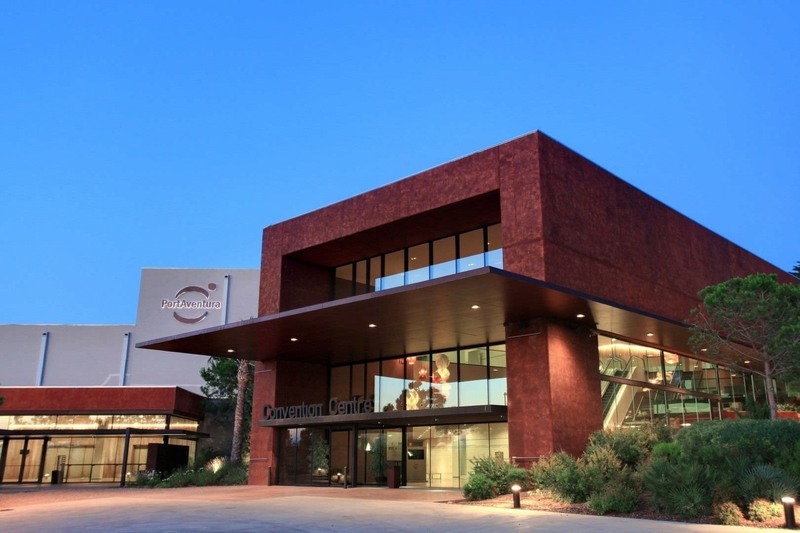 * The arrival of this hotel will mean the downgrading of the Hotel Callaghan to the Superior category, failing to offer Premium express bracelets for the express MAX service. In 2019, the convention center will receive an extension in the form of a new building extending from 14,000m2 to 20,000m2 the surface of this. This is because many leading national and international companies have chosen PortAventura Business & Events to celebrate large-scale events, which has meant the need to expand the site. The PortAventura Foundation (in collaboration with the Red Cross and Sant Joan De Déu Hospital) has announced its next project for 2019. 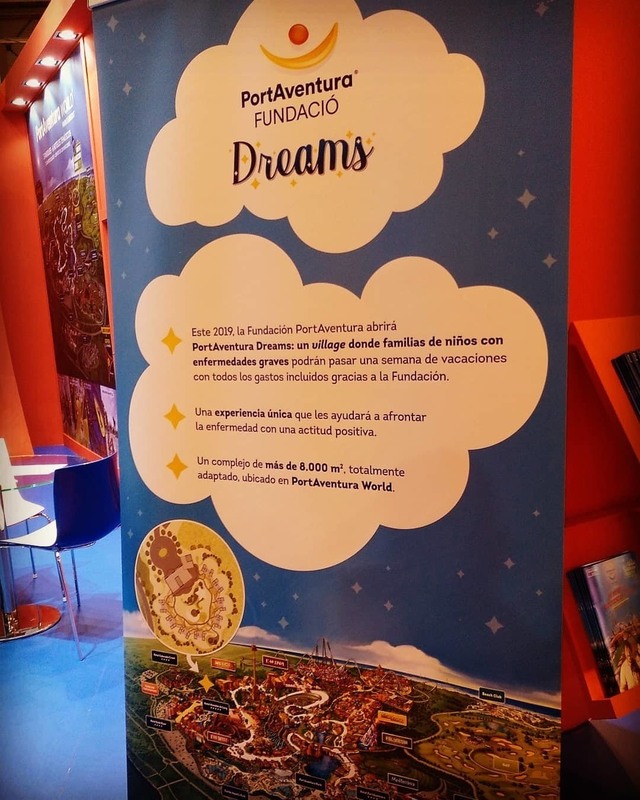 PortAventura Dreams will be a village located within the resort that will seek to offer a unique experience to children suffering from serious illnesses and their families. This project will consolidate one of the compormisos of the foundation, which has entertainment and fun as the axis of its social action. It is a pioneering initiative in Europe and will have an investment of 4 million euros. It will create a physical-temporal space, different and playful, during the fight against the disease, whose objective will be the search for a positive effect from a psychological point of view on recovery, while allowing new moments of family bonding to be fed. It will occupy a space of 8,850m² located within PortAventura World. The village will have 8 homes of 130m², fully adapted, which can accommodate a total of 8 families of a maximum of 6 members each. The project will focus on children between 4 and 17 years who suffer (or have suffered) serious diseases. PortAventura World continues to bet on a model of responsible and sustainable management, which is reinforced by new projects aimed at contributing to the fulfillment of the commitments contained in the Global Compact and the Sustainable Development Goals of the United Nations. Reference of this was the intervention of Choni Fernandez, director of Central Services, which reported this program that is part of the objective 3 of the resort (health and wellness) seeking to continue promoting and expanding activities to promote healthy habits within the company , as well as promoting health and well-being in the workplace. She spoke of this initiative, among others, as the commitment to gradually remove the plastic from the resort until its elimination in 2020. Hotel PortAventura and El Paso are the chosen ones this season to receive the facelift. In the case of Hotel PortAventura, its rooms and restaurants will be completely renovated, eliminating the Woody and Friends rooms, which will be replaced by the Junior Suite and Suite Hotel PortAventura, which will have the same privileges as those previously mentioned but with the addition of Premium buffet breakfast and a la carte in private restaurant included. Unlimited access to PortAventura Park according to opening calendar. 1 day access to the Ferrari Land park included per person and stay according to the opening calendar. Preferential reservation in restaurants with table service from the hotel's Guest Service (before 12:00 for the lunch service and before 18:00 for the dinner service). Subject to availability. Free Express Premium Bracelet for PortAventura Park (one bracelet per person and stay valid throughout the stay): quick access to the main attractions and shows.